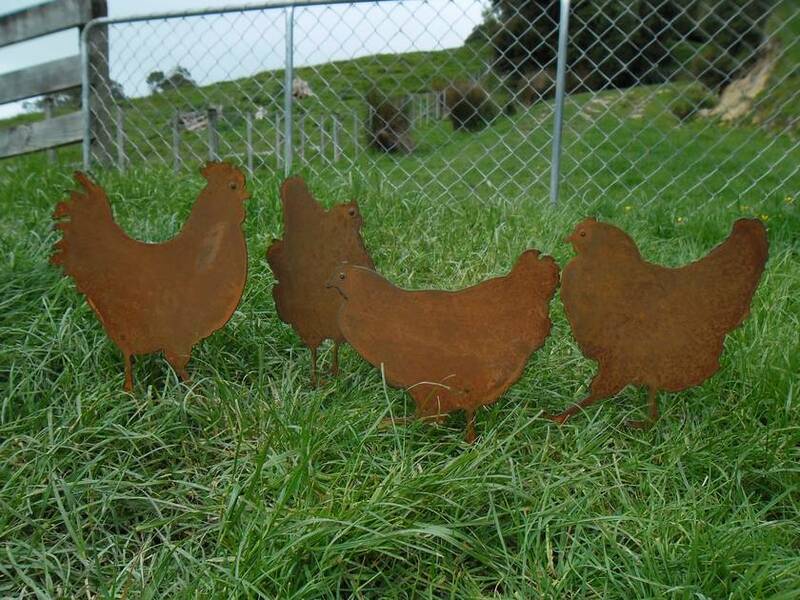 Kiwiana Garden Art SET OF FREE RANGE ROOSTER AND CHICKENS. Designed and made in Canterbury from recycled steel with spikes on legs for pushing into ground. 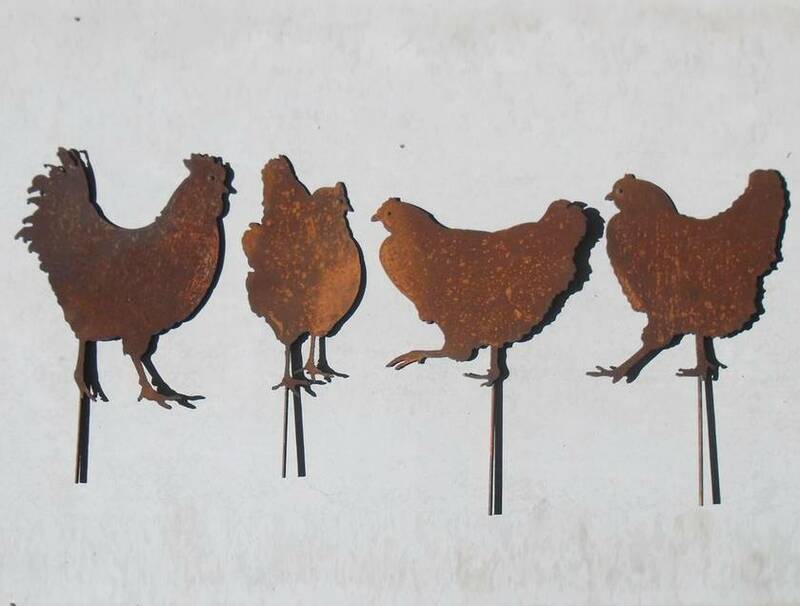 Available in Natural Rust - 230 - 300mm high. Listing is for a set of four (available individually for $45 each under separate listing).